For the past 3 months my men’s discipleship group has been meeting every Tuesday morning at 6AM at IHOP. It has been one of my favorite small groups of all time. We have a lot of fun together. But what is really encouraging is the faithfulness of everyone in the group. Everyone is there every week (I did miss the week we were in Israel, so I’ve missed more than the other guys.) with their assignments done. And everyone is really growing spiritually. I can’t wait to see all God does in and through these men’s lives, families, and businesses. 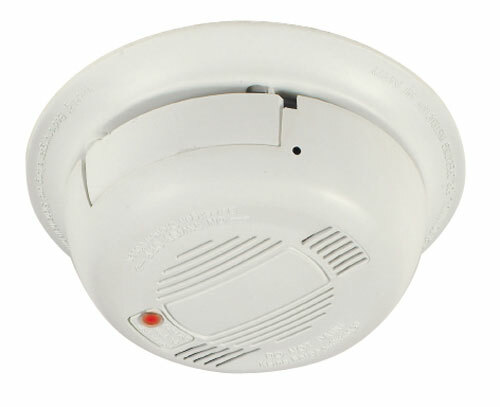 One of the things we laugh about every week is the annoying beeping sound being made by a smoke detector with a dead battery. It has been beeping for the past 3 months. We’ve mentioned it to our waitress countless times, but IHOP has chosen not to do anything about it. I think the IHOP staff is so used to the smoke alarm beeping, that they don’t hear it anymore. But we hear it every Tuesday morning. We even heard it this morning over the Barry Manilow music. As Wayne Shellnut wittingly said this morning, “It doesn’t get much better than IHOP and Barry Manilow.” Click here for the latest news on Barry Manilow. Anyway, I got to thinking about our own lives. You may not realize it, but each of us is like a smoke detector with a dead battery. Each of us has a sin or glaring weaknesses in our lives that is obvious to others. It has become such a part of our lives that we do not see or hear it anymore. It has become a blind spot to us. But our friends and family notice it whenever we walk in the room or post something on Twitter or Facebook. In fact, those of us who post often on social media, make our weaknesses more visible for the world to see and hear. So, what area of your life do you need to replace a dead battery? What is a sin or glaring weakness that is evident to everyone but you? You might want to ask a close friend.